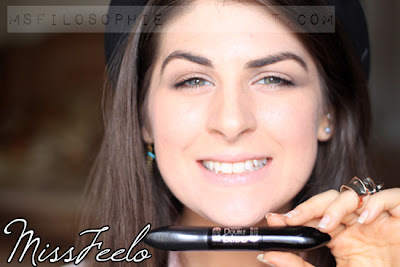 L'oreal Double Extend Mascara Review - Filosophie! It was a little difficult to take a picture of just the product since the packaging is quite shiny and I kept getting some glare. The product claims to length your lashes to an "astonishing 80%". I took a photo, eye on the right wearing mascara and to the left, naked. My lashes look longer and darker, not sure of the exact measurements obviously so whether or not it's to an "astonishing 80%" is beyond me. Regardless, I like the results. Both ends of the mascara have different duties. The step 1 side has your standard long brush with the main formula. It doesn't really clump and applying is easy as pie. I think clumping is a little in this season and you can achieve that if you add quite a few layers with this... though I don't think that will go down well with your lashes! The second end is ball like at the tip. 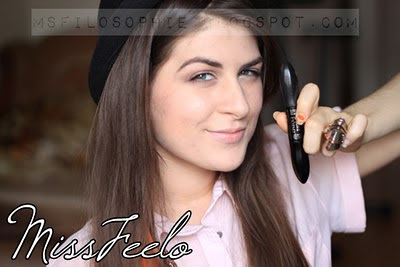 I've never used a mascara wand like that before and I must say, I am a fan. I think adding two different wand shapes is an incredible idea. You can get in more places (parts closest and farthest from your inner corner) that you can't reach with your normal wand. The second wand isn't a colour more so than it is a shimmer. 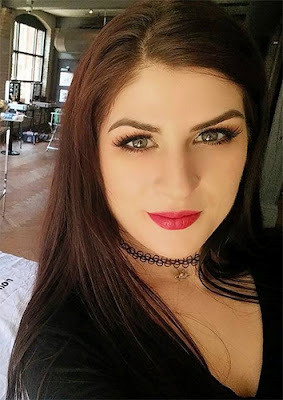 If you don't want your lashes to shine in the light, I would skip this step. It's not overbearing, so I like the subtle shine it adds. Step 1: Ultra nourishing base coat infused with Ceramide R and D-Panthenol protects and strengthens lashes creating the perfect base for tube application. It is fragrance free and easy to remove as well. It lasts all day and may possibly be my new favourite mascara. There is something missing from the product and I think they need to re-work the first wand a little. Because of the formula which is supposed to create a layer on top of your lashes to create a longer appearance, it's a little harder to apply. I think a bristle or curved brush would be more suitable. I'm not sure how much it retails for since it was given to my by a friend but I found it for around $7CAD on eBay so I'm going to guesstimate it's 10$CAD+ in stores. Damn... that's pretty cheap! Final verdict: I love it and would buy it given the chance. Especially if my guesstimate of the price is correct! I love the subtle glitter on the second wand and how long lasting it is.